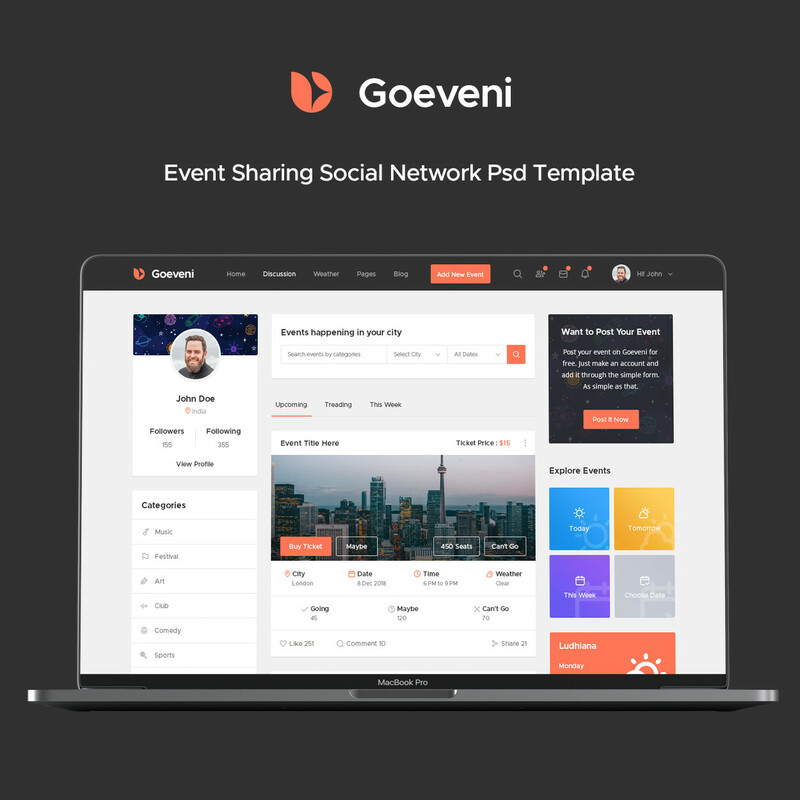 Goeveni is evaluated as my most unique event sharing social networking PSD template for online event sharing with clean and modern design. Goeveni will be a subtle and smart choice for user. Our reputation system will make it easy to find the perfect event for you. It’s the simplest and safest way to get event sharing and buy tickets done online. There is no doubt that Goeveni will make your events look more impressive and attractive to viewers. Designed on grid system, your site will look sharp on all screens. Our package includes 39 well-organized PSD files and with this template you can converted it into, WordPress or Opencart, Html or other systems’ sites.